Navyug is the CEO of QAI Global Services, and Founder QGLUE. An evangelist of operational excellence with QAI, he has been recognized as one of the 50 leaders that shaped Indian IT. His area of expertise lies in Design, innovation and entrepreneurship. Kshitij is a graduate from Harvard-MIT Health Sciences and Technology program and MIT Media Lab. 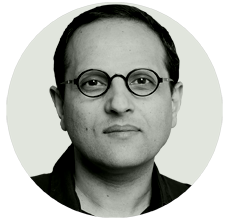 Alok is a Brussels-based design strategist , storyteller, innovator, thought leader and Designer-in-Residence for QGLUE. 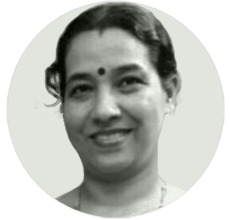 Shyama is a part of the QGLUE management team and brings with her 27 plus years of competence in Engineering, Process Improvement, People Management and Consulting, being a core influencer at QAI. 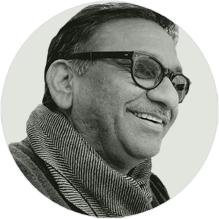 He consults in branding, design thinking and innovation at premier institutes in India & overseas. Arvind is a strategic innovator and brand consultant. He consults on service & business innovation and branding, design and tech. 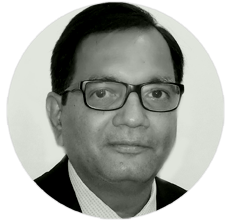 Navyug founded QAI India in 1993, after completing his PhD from the University of Rochester, USA. Under his stewardship, QAI has grown from a single location entity to a global organization. Navyug has been one of the pioneers and remains a strong evangelist of Operational Excellence. He has been recognized as one of the 50 leaders who have shaped the Indian IT-BPO industry and is an acknowledged thought leader in the area of Performance Improvement – exemplified in his vision for QAI. Startup Advisor and Board Member to Multiple Startups. Charter Member TIE, TIE is worlds largest Entrepreneur Network. Program Lead NASSCOM’s Orbit Shift – attempt to provide a platform to help companies either at inflection point or desirous of expansion or mired in a stagnant situation bring about a radical shift in their functioning. Past Co-chair of TIE-CON, Asia’s largest conference on Startups and Entrepreneurship. Key fact in IIT-TIE Startup Accelerator Program, a practical approach to understanding, designing and testing business models. It includes analyzing existing business models , developing a strategy for new startup venture, and creating building blocks. Jury Member of NASSCOM’s Emergent 50 Startup Awards. David earlier led the Customer Experience and Business transformation teams at Reliance Infocomm for than 7 years. Here he was responsible to enhance customer promotion scores by re- designing processes from an “out side in” perspective. David has also worked with Godrej appliances for more than 9 years participating in new product development processes and was key member is the development of the Pentacool range of refrigerators. He has vastly travelled across the country to meet customers and identify usage patterns and empathy mapping. This was translated into accelerating the new product development process and reduction of field failures in Godrej Appliances. He is certified as a TRIZ Level 3 Practitioner (Advanced Level) certificate issued by the University of Twente (The Netherlands) in affiliation with The TRIZ Training International Centre and signed by TRIZ Master ValeriSouchkov, co-founder of the European TRIZ Association (ETRIA) and ICG. With MIT he has led numerous Design Thinking and Innovation across the world to create an anti-disciplinary, learning by doing environment pioneered at the MIT Media Lab. His curriculum developed at MIT has been deployed across Fortune 500 companies and top universities across spectrum enabling a new generation of innovators and spin-offs to tackle some of the hardest problems affecting these organizations. He co-founded healthcare AI company while at Stanford that got acquired by a leading hospital chain in the Silicon Valley. He has numerous publications and patents to his name and his inventions have been showcased across Forbes, USA Today, WIRED, TechCrunch amongst others. He currently divides his time between his company Tesseract Inc. – MIT spin-off creating AR and Holographic Glasses and working with numerous organization to enable them to usher in the new era of Design Thinking and Cutting Edge Technologies. Alok has previous professional experience in Advertising (P&G – Procter and Gamble), new media publishing and exhibition Design. He initiated the Belgian presence of Interaction Design Association, IxDA and serves on the IxDA board of directors. 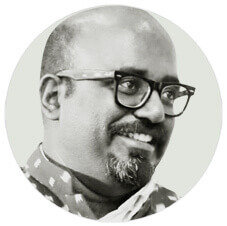 Alok Nandi is principal at Architempo, active as creative director, UX strategist and interaction Designer. He is also president of IxDA, Interaction Design Association. He got involved in R&D programs to explore storytelling with technologies, AR & VR installations for museums and public places. He launched PechaKucha Night in Brussels in 2007 and is a regular speaker in international conferences/events. He is visiting professor at the Institut Paul Bocuse in Lyon, with hospitality/culinary professionals. He was Japan Foundation Fellow in 1996, working on Japanese movies. He also coproduced a featurelength documentary on/in Mongolia screened in 45+ international festivals and25+ TV channels. Shyama, is a part of the team to incubate, operationalize and lead team QGLUE for meeting its vision. She brings 27 plus years of professional experience across Engineering, Process Improvement and People Management Consulting and training, and has been core to the management team at QAI. Shyama is also passionate about alternate healing techniques and designing your life techniques. Has been instrumental in People advisory services / People CMM maturity framework implementations for Organizations like Mimos Malaysia, HCL BPO, Rashtriya Chemicals and Fertilizers, NEC technologies, Hughes Systique and likes. Conducted trainings on Configuration management, Process audit, Risk management, Quality bootcamp, software metrics, CMMI / People CMM. Incubated and led the Quality process outsourcing practice of QAI for 5 years. 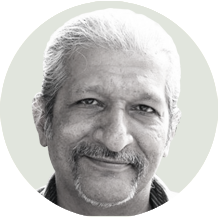 Nimesh comes with over 15 years of extensive experience in Experience Design, Service Design and Brand Strategy to enhance customer experiences and create stakeholder value through Business Innovation. Previously he was the Principal Design Strategist for IBM Ix for India markets, Head of Design Strategy at Future Group’s business Innovation Team and DGM Design at Godrej. Over the years he has consulted to numerous organizations large and small. Some of his assignments include brands like Idea Cellular, Honda Motors, Future Group, HUL, Shapoorji Pallonji Real Estate, Godrej Properties and many more. After his Bachelors at SPA, Nimesh did his Masters in Strategic Design Management at Politecnico di Milano, Italy. Launched a ‘breakthrough‘ innovation + brand consultancy that works with corporates, NGOs as well as startups. Co-founded the Deccan Centre for Innovation & Design [DCID]. Creative Director at Ogilvy, where he led the corporate rebranding of ICICI. First HP Labs-Srishti Research Chair and was on the steering group of the Nokia-Srishti Design Research Lab. Advised IIT-G on its BTech program, and by Impact Business Leaders, University of Stellenbosch, ISB, Ambedkar University and Startup Village to lead programs on Design and Business Innovation. 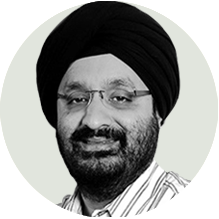 Jaspreet is a Digital Advisor to Mahindra Group, Adjunct Advisor to IDC, and the Emerging Technologies Advisor to Internet and Mobile Association of India. He sits on the Advisory Board of AI firm Findability Sciences and a few other companies in the technology space. Jaspreet is the founder of Digital Matters, an advisory firm in the areas of Digital Transformation, Blockchain and the Future of Work. His digital transformation experience spans across Agritech, Real Estate, Next-gen Social Networks, Hospitality, Auto and Financial Services. 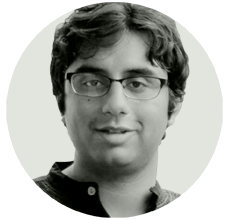 He is also a thought-leader in the Blockchain space in India, and he has built Proof of Concepts and products based on this technology. He is on the Advisory Board of Blockchained India, India’s largest Blockchain community, is invested in few Blockchain start-ups, and mentors the Blockchain Group for IAMAI.